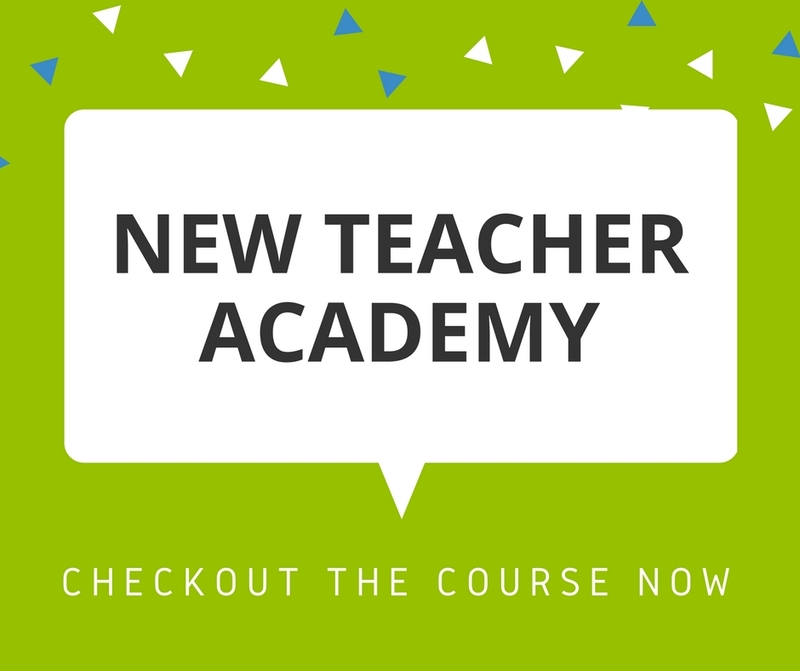 Professional development [PD] is often an experience where novices learn from experts. In education, this generally means bringing in a consultant of some kind to lead a very dry, boring information session. There is little practical application and no time to practice. During my career, I have endured many ineffective PD sessions. However, a principal of mine once decided to start letting teachers lead PD at our school. We all perked up, showed up early, and erupted with praise and adoration for our colleagues. The buy-in was HUGE! This same principal later created a space for us to complete “learning walks” for PD credit. 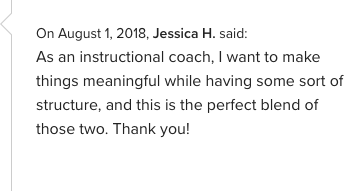 These were similar to what the administrative team completed together when they would go visit teachers’ classrooms in the building and evaluate instructional effectiveness. We received a quick run-through of how to complete a learning walk and then were allowed to go visit our peers during our breaks in the day. Of course, many of our breaks were filled with required meetings or designated planning time; however, there was about one day a week that was ours for the taking. I immediately signed up to see a teacher a grade above me and below me. I admit, I did sign up to see some of the “teacher greats” in the building just out of curiosity, but I mostly wanted to see what my kids needed to be able to do in the next year and where my kiddos came from the previous year. 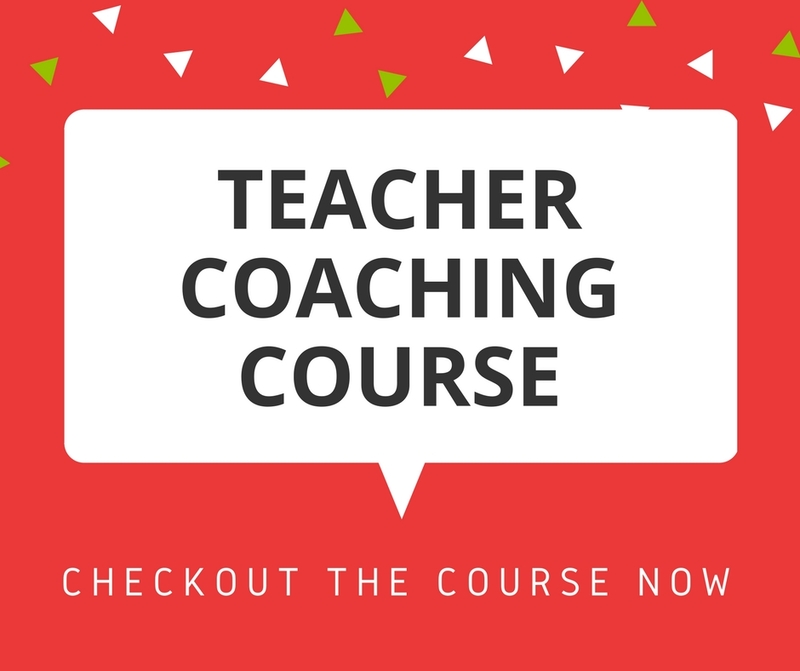 This helped form my ‘instructor lens’ from which I would plan my instruction. This insight helped recalibrate my expectations and perspective. The first time I walked into another teacher’s classroom was totally overwhelming. I was distracted by the decor and the classroom set up (in a good way!). I spent more time walking around looking at stuff than I did pay attention to kids and their learning- all things I could have looked at after hours. 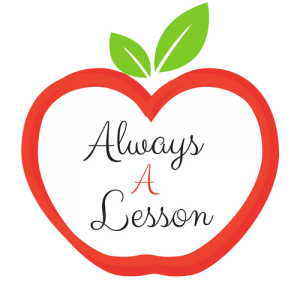 After a few experiences, I learned to take advantage of seeing learning in action and honed in on instructional skills and strategies I wanted to gain. That meant that I needed to have a focus before I started my learning walk- I couldn’t just go in blind because that’s what caused the overwhelm. 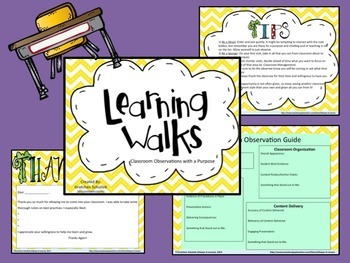 I highly suggest incorporating a learning walk into your PD repertoire this year. It doesn’t need to be a school-wide initiative either. You can simply ask a few edu-buddies for their willingness to allow you into their room (and vise versa), and schedule it during a time where you are not required to be anywhere or do anything specific. Then, go learn and grow. 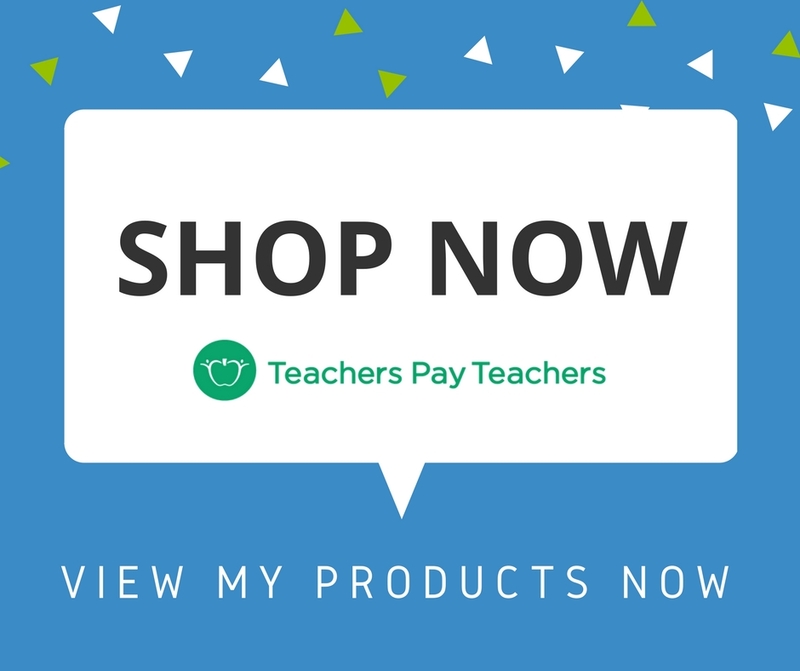 I promise, it will be the best thing you do for your own motivation and longevity in the educational realm. I was rejuvenated and reinvigorated by completing learning walks with my colleagues! 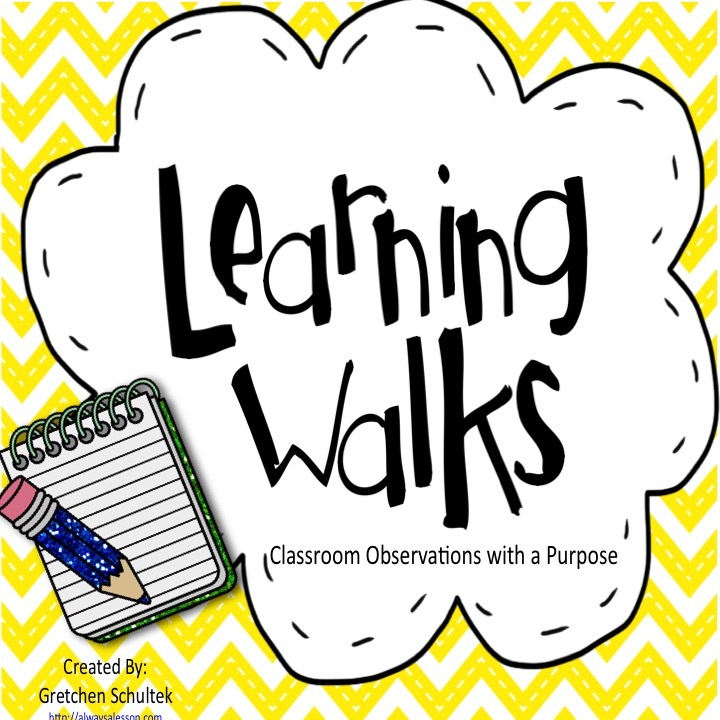 Snag this super affordable learning walks guide to get you prepared to start- click photo below. What are some ways you learn from your peers?